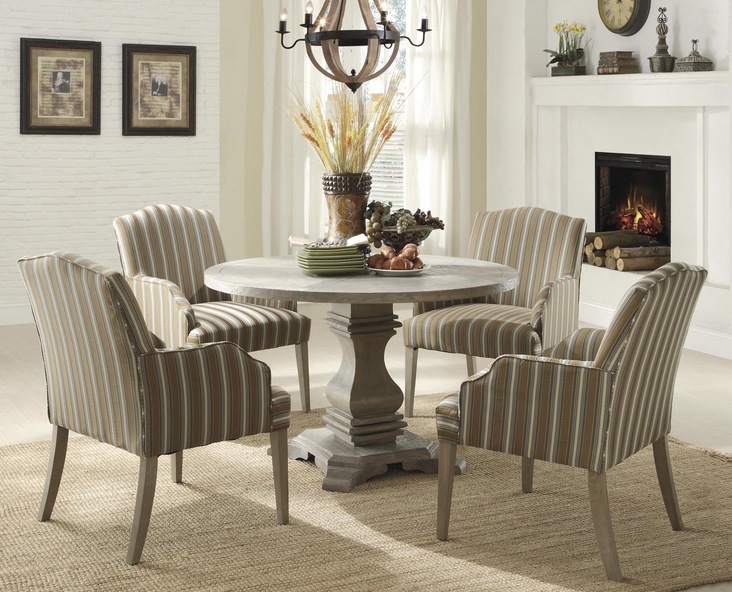 With inspiration drawn from traditional French decorative accents the effortlessly elegant Euro Casual Collection by Homelegance adds warmth and charm to your dining room. 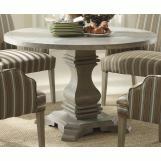 A classic urn pedestal base acts as the sole support for the routed round table top. 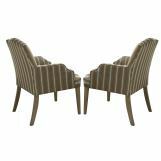 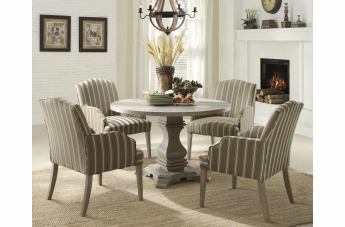 The rustic weathered finish on the birch veneers hints of time gone by and the complimenting fabric on the wood-framed accenting chairs lends a distinct flair to the collection.